Wee Blue Swirls: Halloween cuteness! 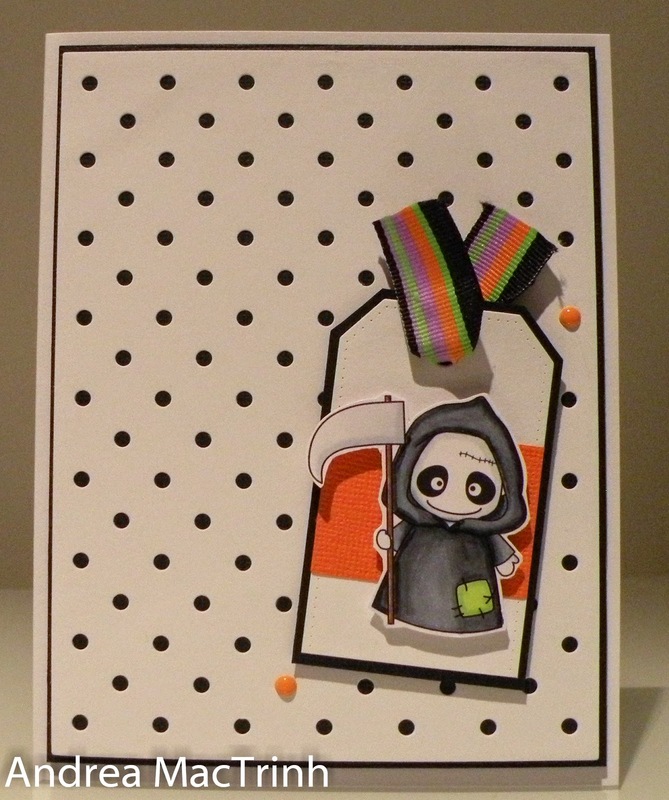 A really quick post tonight just to share a CAS halloween card I made. 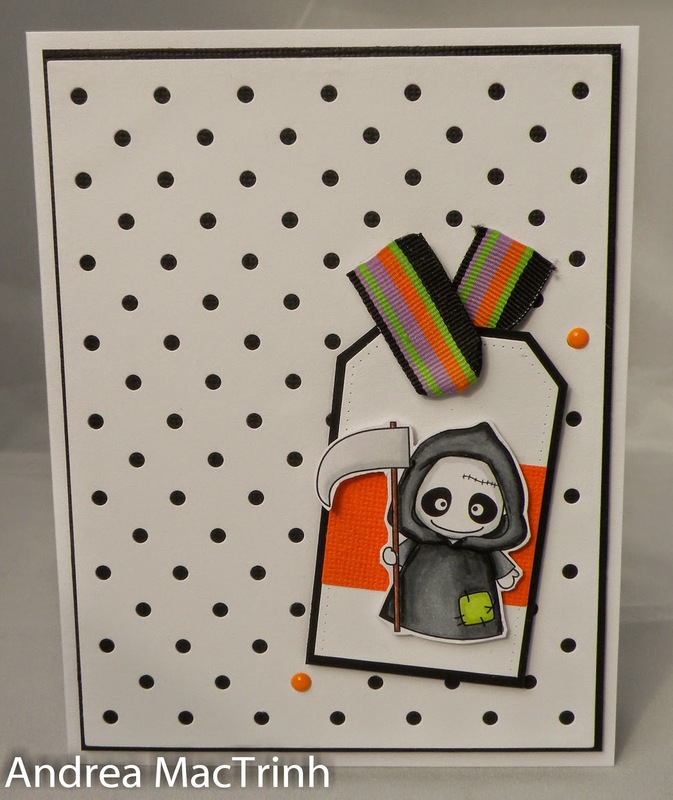 I don't celebrate Halloween but I just had to made a card with this little fellow - who could resist that face!! He is available from Whimsie Doodles as part of the new Little Boo's collection. These digital stamps are soo cute!! The photo isn't the best - hate taking them at night!! I will add a better picture tomorrow morning. Great colouring of that image! Thanks for playing along with the TYI challenge. This little boo on your tag is so adorable! I can see why you had to use him even though you don’t celebrate Halloween. Love your card and the polka dots. 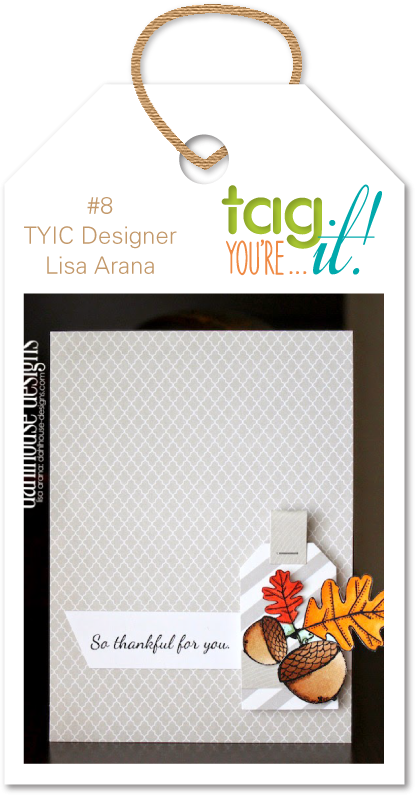 Thank's for joining us at Tag You’re It! Oh, this is so cute! Fabulous take on Lisa's card! Oh, this little spooky guy is sooooo cute!